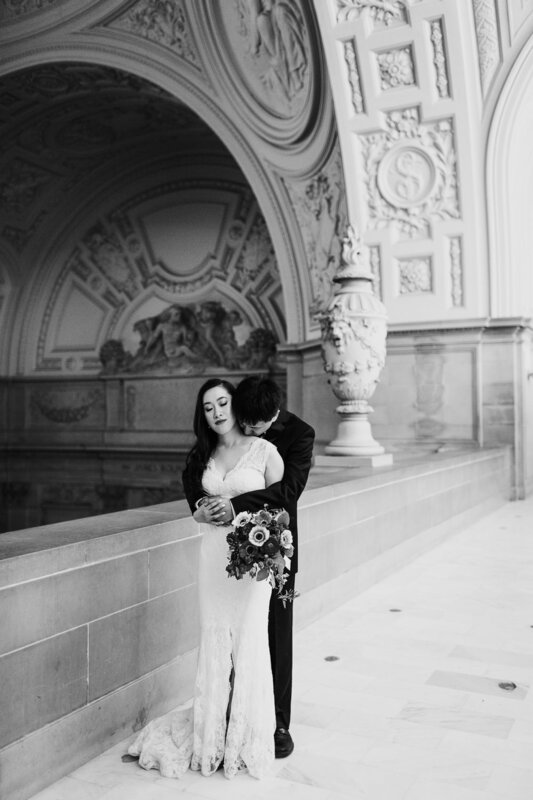 A few posts back you can find the ever stunning engagements with Carmen & Leland. 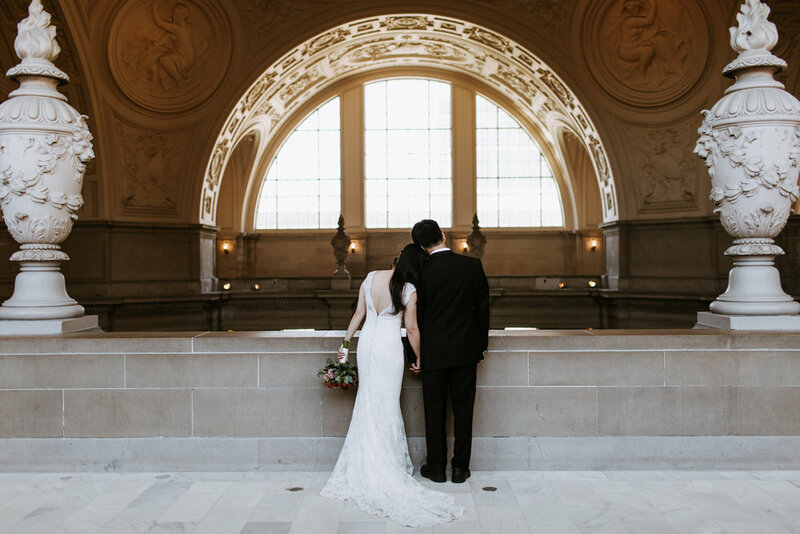 Definitely my first time shooting in a museum, but I certainly hope not my last. 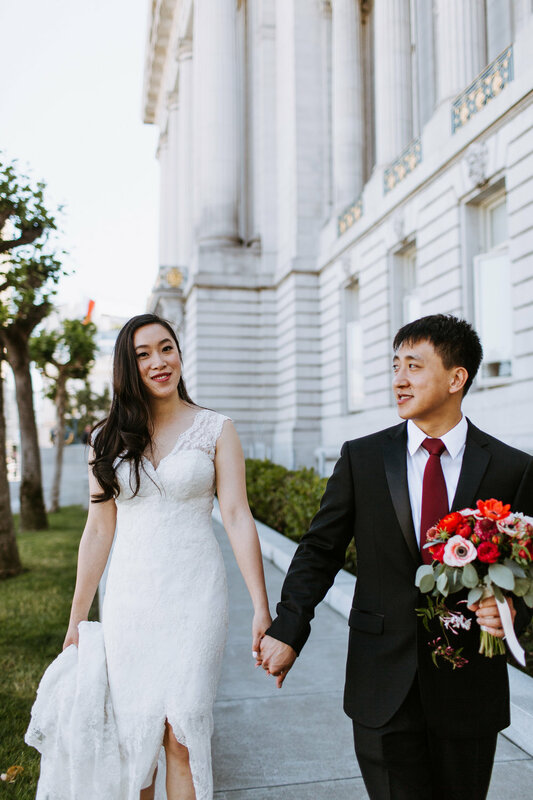 I knew their intimate wedding would be just as special. 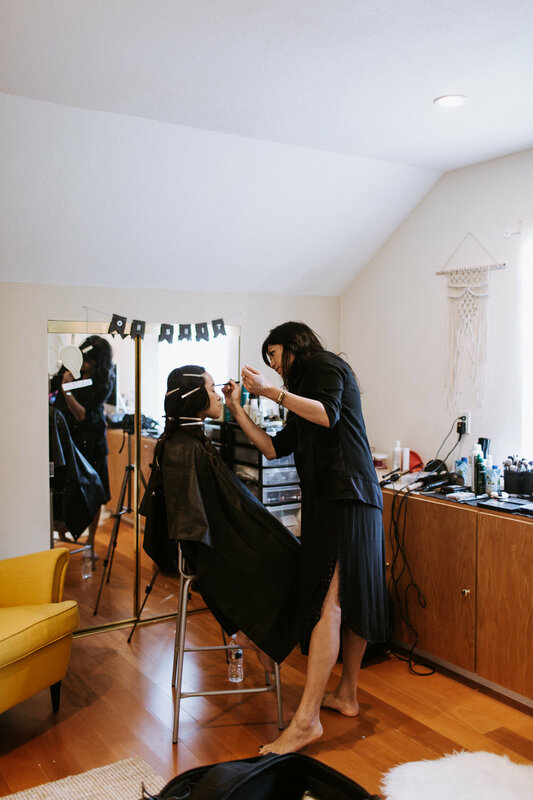 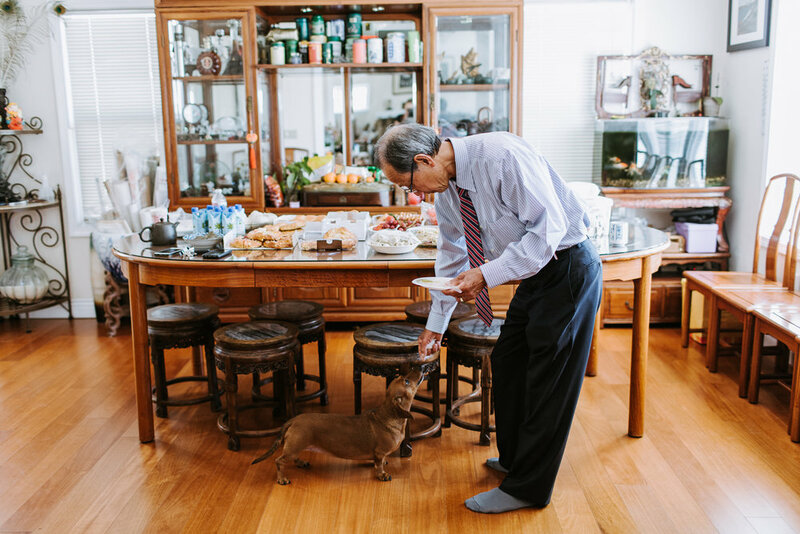 We started the morning at Carmen's childhood home in the heart of San Francisco where the bride and groom and family got ready. 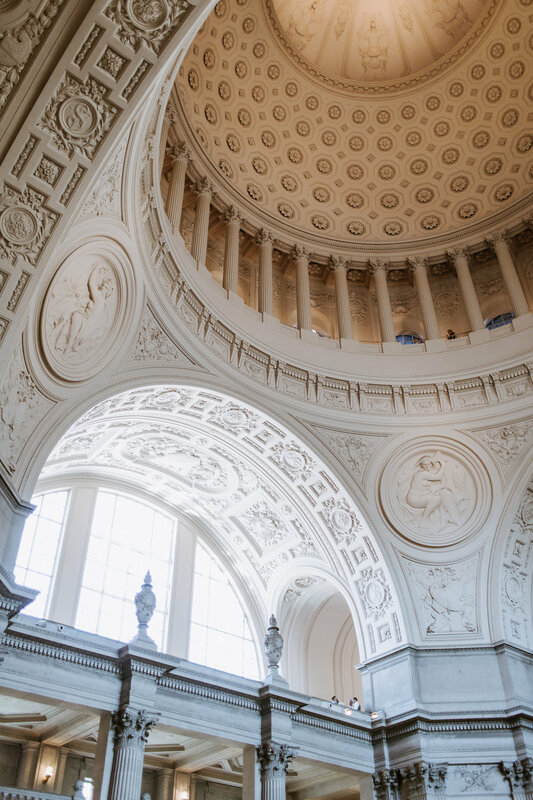 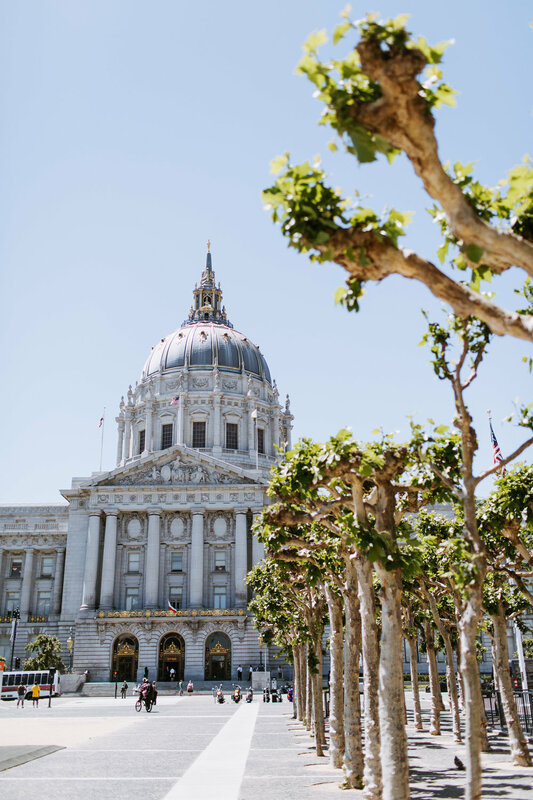 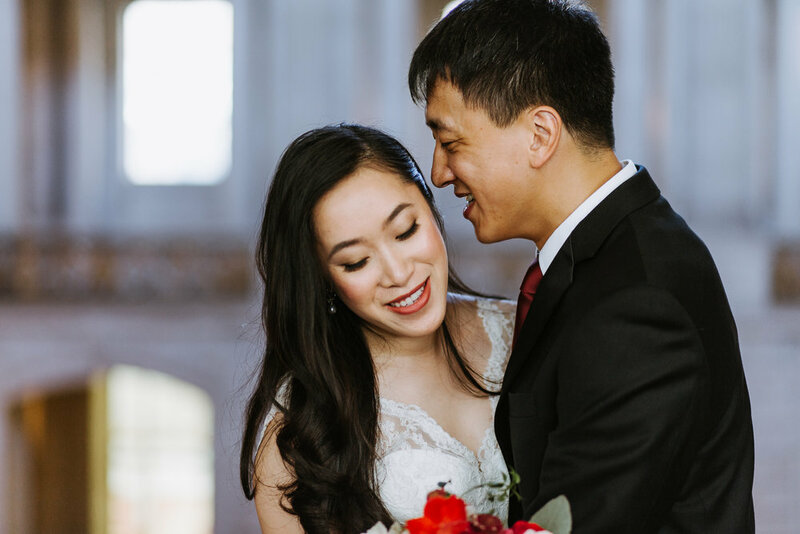 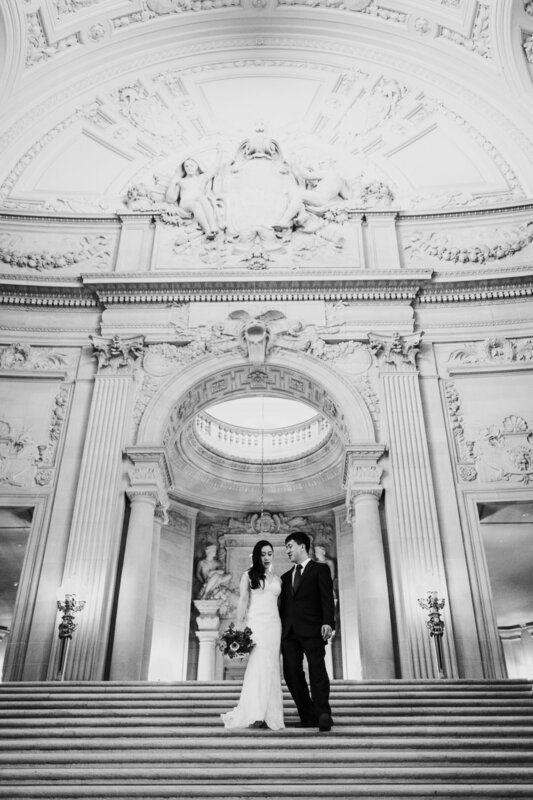 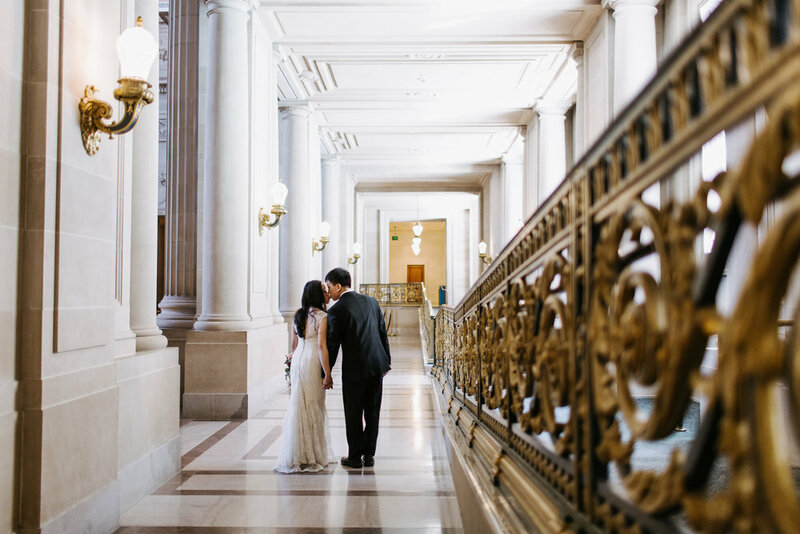 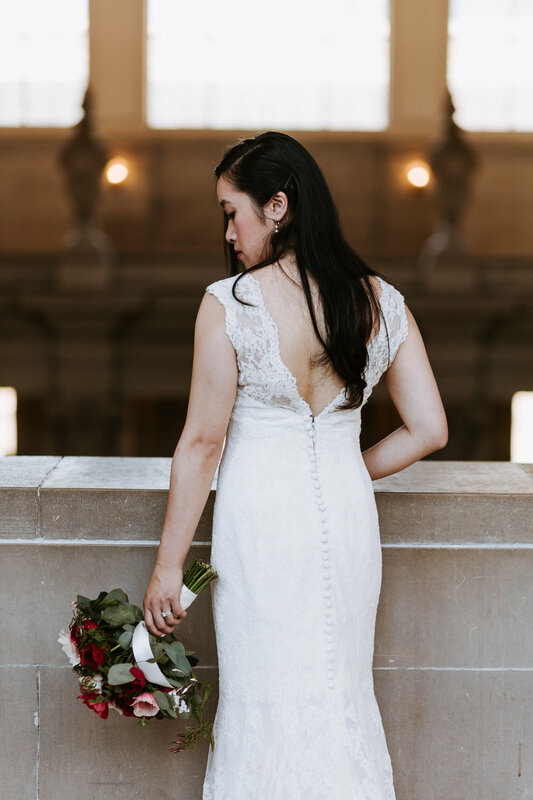 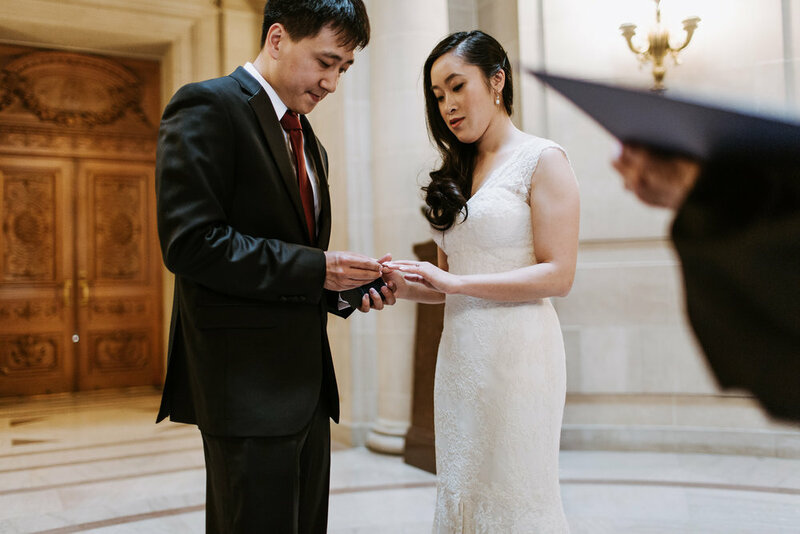 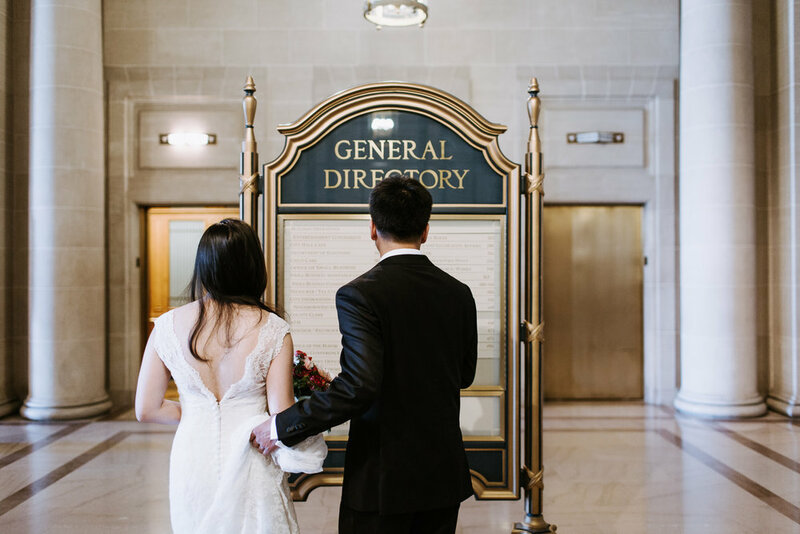 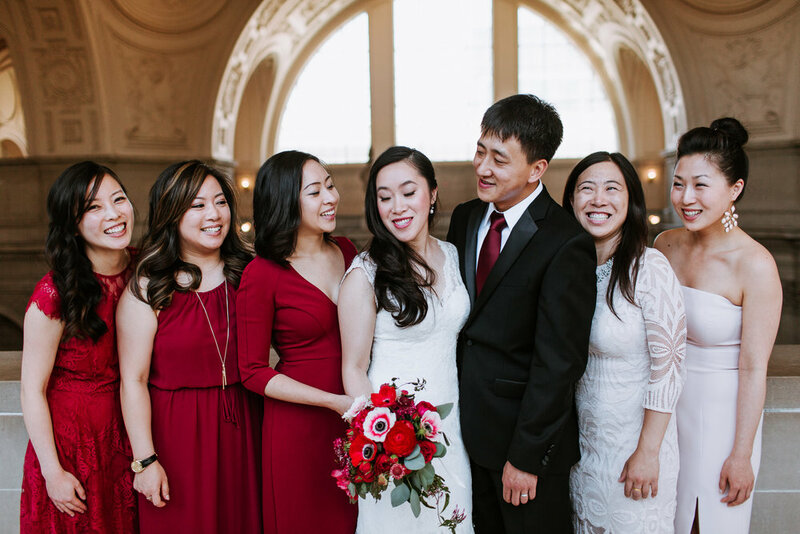 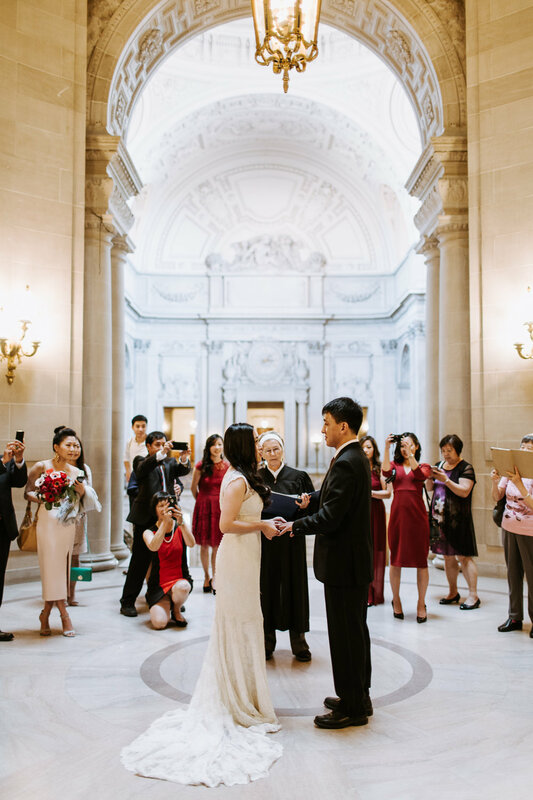 We then headed over to San Francisco City Hall for their marriage appointment. 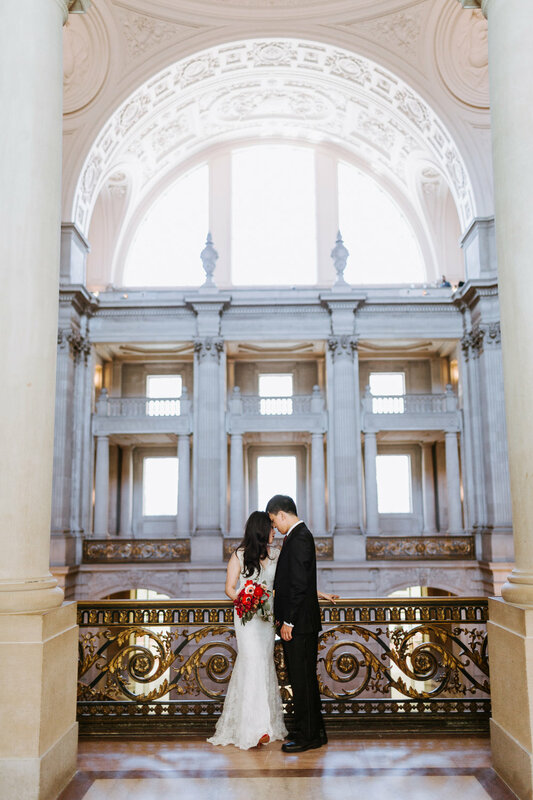 It was really neat to be part of such a small intimate affair in such a gorgeous, historical building. 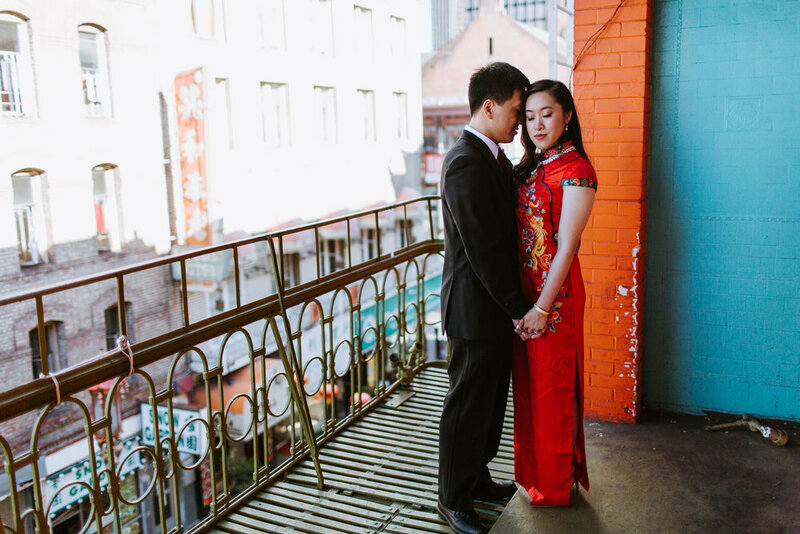 After adventuring around the building for a little while after, we headed to their luncheon at the quaint Mister Jiu's in Chinatown. 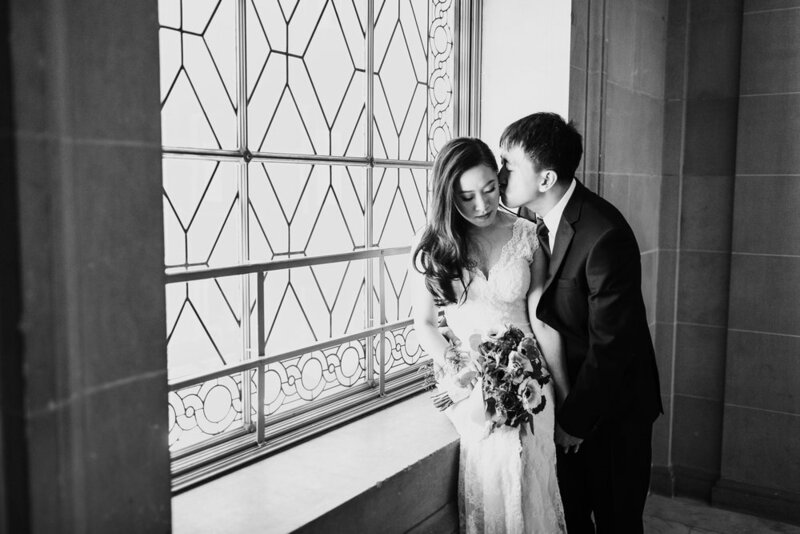 This is where Carmen & Leland had a small tea ceremony, which is a traditional Chinese tradition for those getting married. 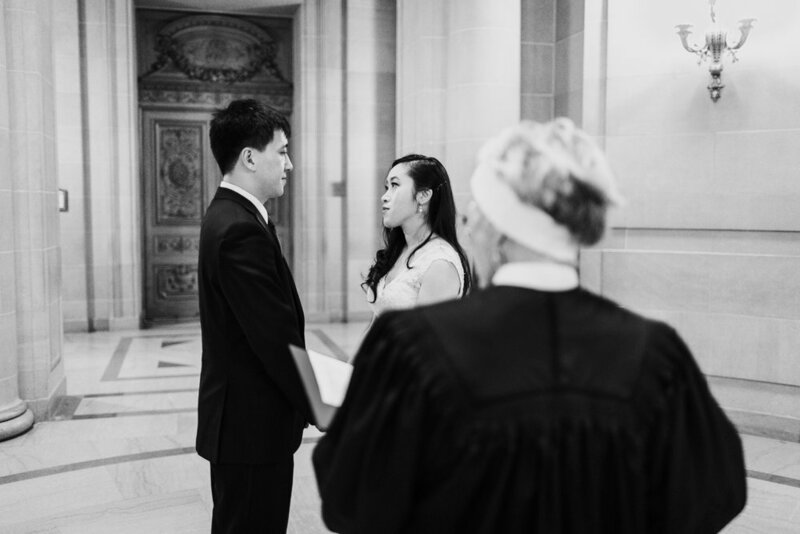 Again, it was awesome to be part of such a sacred and neat ceremony.